Your editor never signed up to be a member of “End Citizens United.” He is an active Democrat, a member of the Democrats Abroad – Panama board of directors. The Democratic National Committee gave the list of Democrats that rank-and-file party volunteers across the USA and around the world built to this shadowy group of Clinton-aligned operatives for their fundraising. 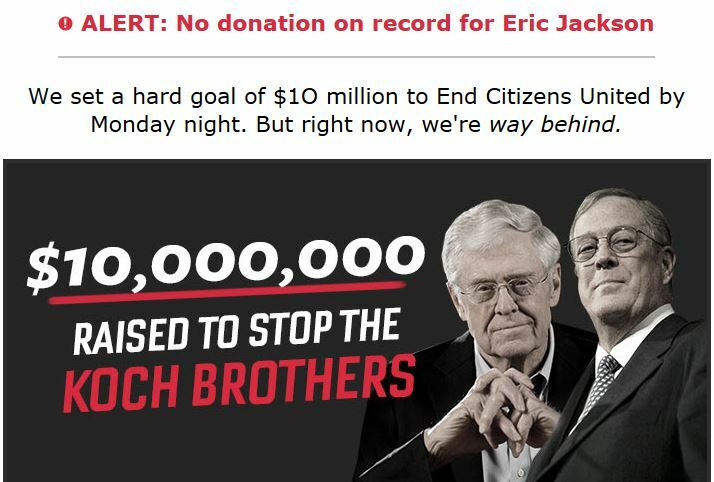 “End Citizens United” has no specific proposal to overturn that court decision, no participatory membership with democratic structures and few reporting requirements. They are just a fundraising scam that pays salaries to operatives for the corporate wing of the Democratic Party, in that faction’s patently insulting ways.